Keystone Lintel’s innovative new Hi-therm+ Lintel offers builders and specifiers a cost-effective solution to lowering carbon emissions. The product features a structural polymer thermal break in the cavity linking an outer and inner steel lintel. The resulting improvement in psi value is considerable says the company, with figures of between 0.03-0.06 W/m.k to be expected depending on the specific wall make up. Richard Kinloch, National Technical & Specification Manager at the Keystone Group explains, “Hi-therm has had a significant impact on the energy efficiency of new homes. It remains the only BBA approved, thermally efficient lintel on the market and has been recognised with multiple awards for innovation. Our original design addressed the most popular wall construction types and opening sizes found in most developers’ homes. “Now, four years on, we are responding to requests for an even broader offering and this has required us to re-engineer the design. This will enable Hi-therm+ to be specified on both wide outer leaf and cant brick applications in addition to standard leaf. An extended range of lintel lengths are also now available to accommodate larger openings. “Ease of build lies at the heart of Hi-therm’s success. Our extensive research told us the builder wants a high performance lintel that can be handled and installed on site in exactly the same way as standard lintels. Split lintels and other non-structural thermal breaks are not comparable in terms of buildability and do not offer the simplicity of the Hi- therm lintel. Lintels are, in most cases, the most significant thermal bridge in a dwelling, meaning lintels can have an important impact on the overall thermal performance of a building. To design efficiently for Part F, it’s important that energy assessors use independently calculated psi values or manufacturer calculated psi values providing they have been calculated by a trained technician using specialist modelling software. Keystone’s technical support team are trained and accredited to provide specific psi value calculations free of charge that can be directly inputted into SAP calculations. 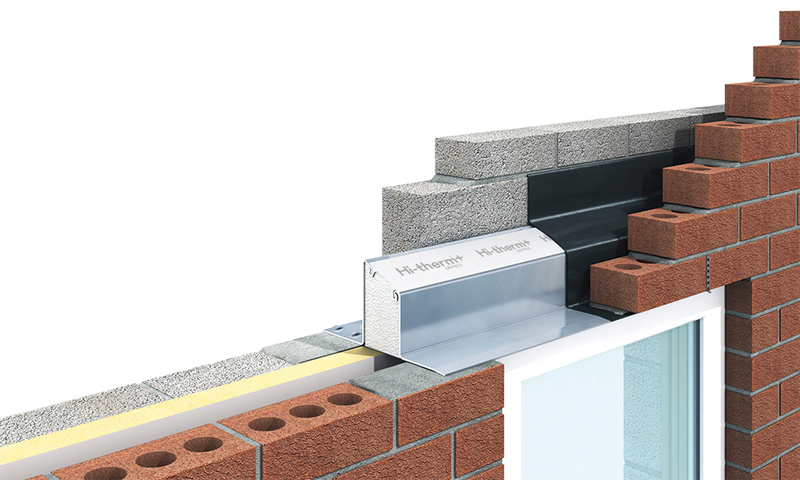 The Hi-therm+ lintel has a low psi value which then has a positive effect on the SAP calculation. This in turn gives designers flexibility to choose less onerous wall U-values and glazing specifications. Specifying Hi-therm+ may negate the need for more costly solutions such as mechanical systems or enlarged cavities. 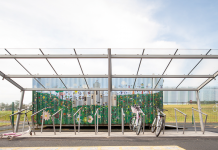 This offers an alternative to existing sustainable technologies, helping to deliver the total building performance required by current and future changes in building regulations. Quote: Ease of build lies at the heart of Hi-therm’s success.